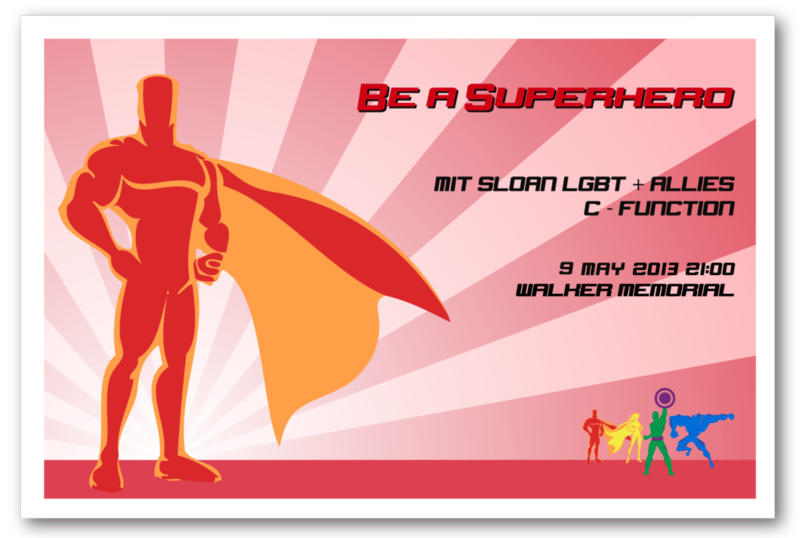 C-Functions are semimonthly, student-organized social events designed to highlight the cultural diversity at MIT Sloan. Each event features music, dance and food from the various cultures represented in the student population. 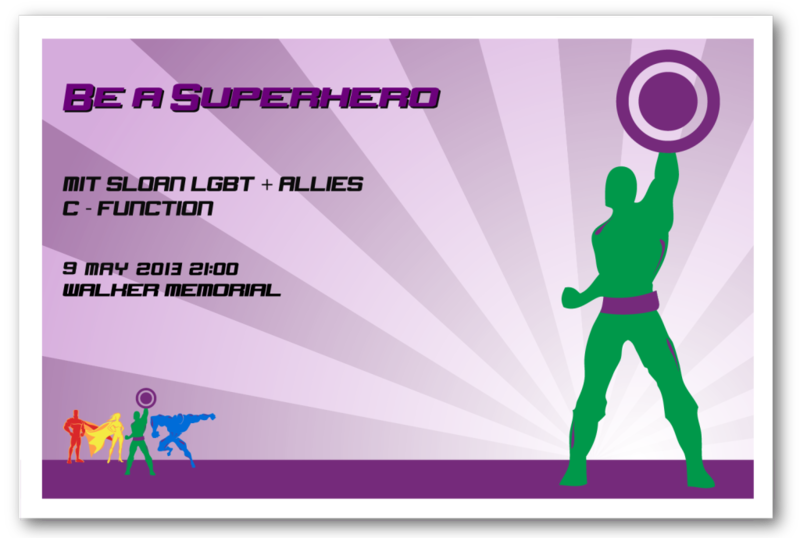 As the marketing chair for the LGBT Club, I developed the theme, logo, and marketing campaign for the C-Function celebrating the LGBT community. 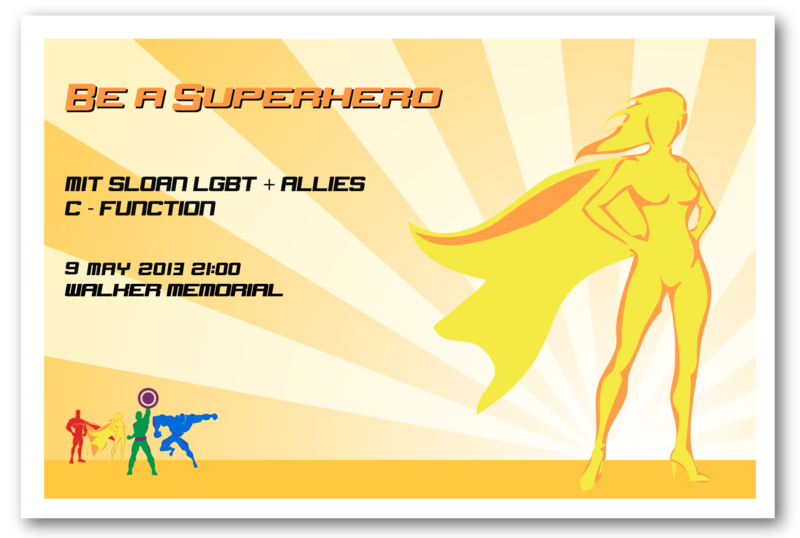 The superheroes theme was derived from the idea that young boys and girls who identify as gay often connect with superheroes and comic books because the characters hold great power but are often identified as “other.” This identification as an other is part of every gay youth’s experience and superheroes can give them an outlet to find strength in “others” who have special powers and do good for the world. 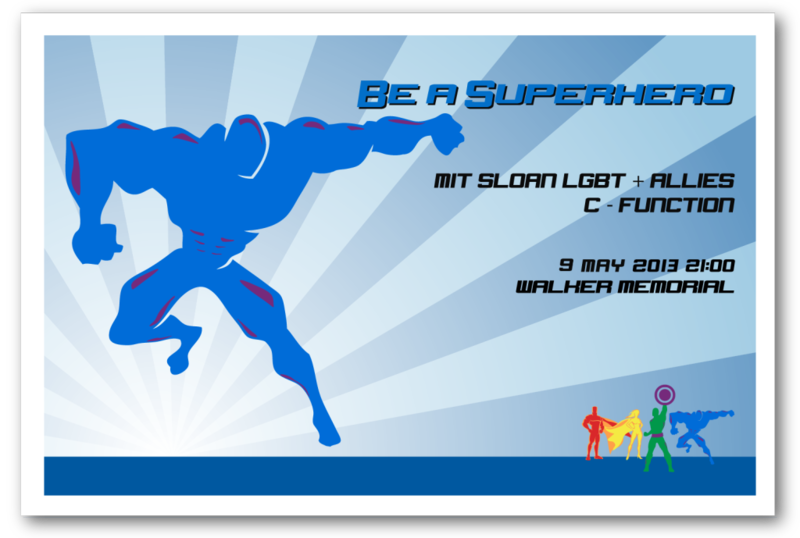 The graphic for the event was designed so that the superheroes would spell out MIT. This was meant to be subtle so that viewers would have an additional level of surprise upon discovering the hidden message. Furthermore, each of the icons were strong enough to be used on their own to create variety in the marketing materials. 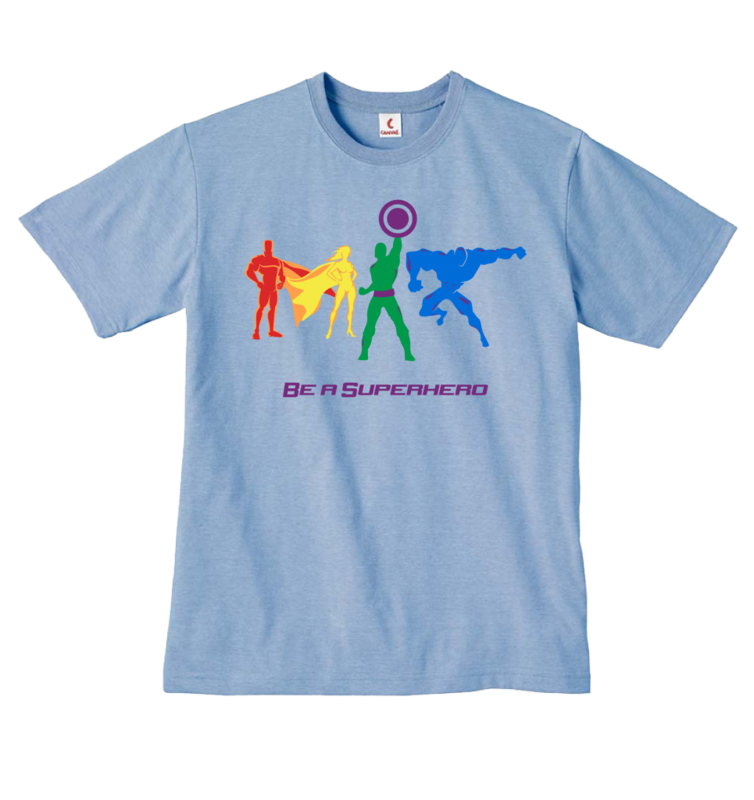 The graphic was also printed on eco-shirts and sold at to the Sloan community to raise awareness of the event. Obtaining angel funding allowed the pricing of the shirts to be set at $12. Due to the popularity of the graphics, the strong price point, and the high quality of the t-shirts, a total of 160 t-shirts were sold in one day, besting the performance of other groups by nearly 25%.